Chinese telecoms firm unveils new leadership team CEO as it looks to solve feud with US government. 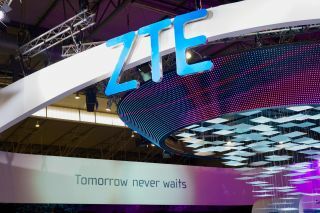 Chinese telecoms equipment manufacturer ZTE has announced a new CEO as it looks to get back on track with its US operations. Reuters is reporting that the company's former head of its Germany business, Xu Ziyang, has been named new CEO. It seems as the company has also named a new chief technology officer, new head of human resources, chief monetary officer and chief expertise officer. No names are being mentioned just yet. ZTE is overhauling its complete management as part of the deal it had with the US. Under the agreement, it will replace its management, pay $1 billion in fines, and place another $400 million in escrow. This is all because it violated an earlier agreement it had with the US government, not to export its products to countries under US embargo – North Korea and Iran. ZTE makes equipment with US-built parts. When the US realised ZTE was breaking the deal, it banned its companies from doing business with the Chinese company, which almost destroyed the latter. At one point ZTE said its employees were coming to work, but had nothing to do. Government representatives from both countries met on multiple occasions as they tried to come to an agreement, and the media were even reporting that China was asked to import more agricultural goods from the US as part of the deal.